Discussion in 'Online family trees' started by jorghes, Mar 16, 2019. 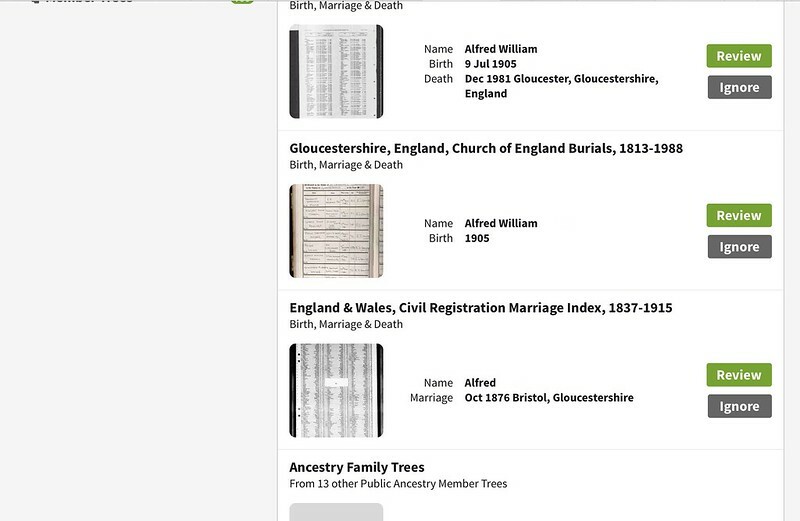 Wasn't sure where to put this, but when I logged on this morning and started my usual clearing of nefarious Ancestry hints which had arisen overnight, I noticed that Ancestry had updated the appearance of hints - but only on the person's page. It looks interesting, may help to sift through rubbish in the future - anyone else have any thoughts. Looks different from what I remember, but it's so infrequently that I look at Ancestry hints that I can't be sure what was there before. Does anyone have before and after screenshots? I can't see any difference. How have they changed? 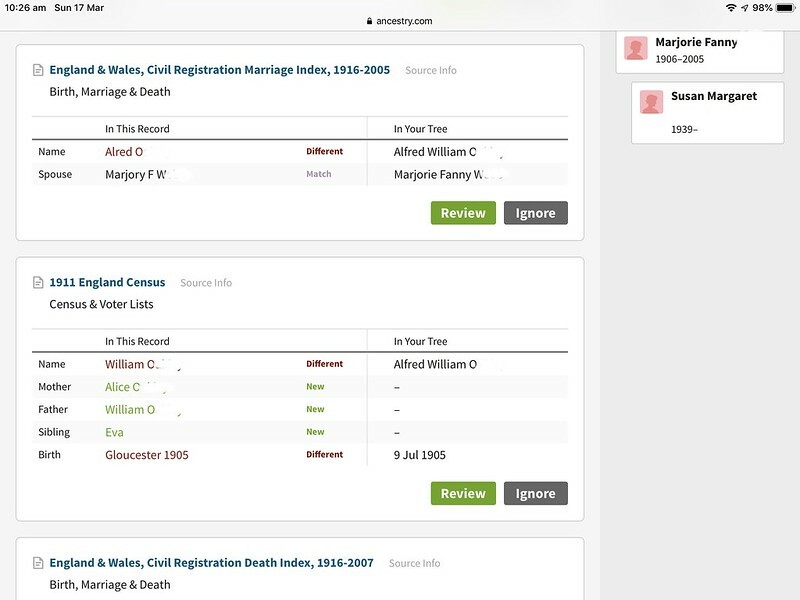 So I can see at a glance that perhaps that marriage record is correct, while I’d have to think further about the 1911 census record. Hmm... that seems strange to me. The only thing I can think of is that it might be attached to the “TreeTags” feature, which I enabled in the Ancestry Lab, which is the only other beta feature I enabled recently. I am usually on .com.au, but that means nothing - my link keeps swopping to .com half the time. I hadn't enabled this. I've just done so, but there is no change in my hints. Do you need to have 'tagged' a person for the new-style hints to appear? No, but the hints didn’t change immediately if that was the trigger. I cannot see them either Helen, where is the " tree tags " feature please jorghes? The "Tree Tags" are found in the "Ancestry Lab" within the "Extras" menu. Thanks jorghes, found it, never been in the "extras" before, you learn something every day. Personally I wouldn't hesitate to ignore the census record. I am sick and tired of the sheer number of Hints and irrelevance of so many and wondering how other users put up with them. About a month ago I created a new tree out of an existing tree and the intention is to not update it because I am updating the original tree. The new tree has 873 people in it and now has 1,678 hints! The original tree has over 5,000 hints. If I examined each and every one of them I would never get any actual research done. When I click 'view people with hints' in the home page, in all of my trees the hints are displayed in the old style but when I click on an individual they are displayed in the new style. I still prefer the previous style of display for the All Hints page, where you could see at a glance how may hints there were against a person and the list of hints did not use so many pages.